The 2019 Chief Earl Moore Charity Golf Tournament is now open for registrations. 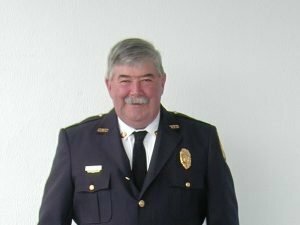 The tournament benefits the Upper Montgomery County Volunteer Fire Department while sustaining the memory of Chief Earl Moore. The 2019 tournament will be held at the convenient Montgomery County Golf Course in Poolesville, Maryland. Poolesville Golf Course in Poolesville Maryland stretches over 380 picturesque acres in the lush Potomac Valley of Montgomery County. Drive less than an hour from the Capitol and you will find refuge from the hectic pace of Greater D.C. With two scenic lakes, and almost 7000 yards of championship golf, this course offers generous landing areas, and large rolling greens. Poolesville Golf Course also maintains world-class practice facilities, including a 2-acre short game practice area, and a range with both grass and artificial teeing areas. Don’t miss this opportunity to benefit the Upper Montgomery County Volunteer Fire Department, while keeping alive the memory of Chief Earl Moore. Goody Bag and Buffet Dinner@ Fire Station after the round of golf. Silent Auction at the Fire Station after golf. Have a business, family name, or a name of a loved one posted at one of the 18 holes on the golf course.